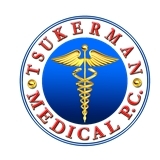 Tsukerman Medical P.C. (Brooklyn) - Book Appointment Online! Dr. Zhanna Tsukerman, MD is offering Internal Medicine services in her private office. Our facility has expanded to provide full urgent and chronic care diagnosis and treatments. We provide our patients with blood tests, allergy test and treatment, vaccinations, smoking cessation consult, sonograms, Nerve Conduction Studies, VNG (dizziness) test, endocrinology, asthma, and diabetes treatment. Dermatologic and cosmologic treatments and procedures are also available in the facility. Mission Our practice philosophy is one of “patient first." Description We have diagnostic facility that enables us to provide same day blood tests and electrocardiogram diagnostics, so that our patients do not have to leave the facility to complete a physical examination or medical clearance. Very professional and attentive doctor. Short wait.